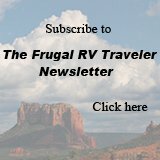 I get many emails from people who want to know if I accept guest posts on Frugal-RV-Travel.com and, if so, what are the guidelines. The answer is yes, I do accept guest posts. What kind of content do I accept? Anything that is useful for my readers is good content for a guest post here. 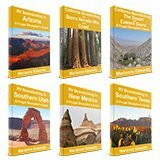 It can be related to RVing, camping in general, great destinations, and especially money-saving information and travel tips for RVers and tent campers. I only accept unique posts that appear nowhere else on the Internet. If you send me an article with any plagerized or already-published content, you will be blacklisted from future submissions. Your post should be a bare minimum of 300 words. This is a travel site. People expect to see photos. Please send photos with your article (you must have the rights to use them). Make sure to include the author byline at the bottom, with the link to your website already formatted. No more than two links are permitted within the article itself. They may not contain affiliate code and must be to websites that are relevant to the article. Please perform a spelling and grammar check before submitting. If possible, html format is preferred however regular text documents will receive equal consideration. Please send your post that meets the guidelines above to me at frugalrv@frugal-rv-travel.com. You can either include the post in the body of the email or as a .doc attachment. While we are on the road ourselves, it may take a week or two before I can read your post and respond. This doesn't mean I have rejected it. Even if it was rejected, I would let you know and give you the reason. Guest posts are a win/win formula: a great way to provide your unique knowledge to my readers and, at the same time, direct my readers to your web site or blog.